If you suffer from anxiety or have noticed yourself feeling more stressed lately, there are some lifestyle changes that experts recommend to helping alleviate symptoms and stress. 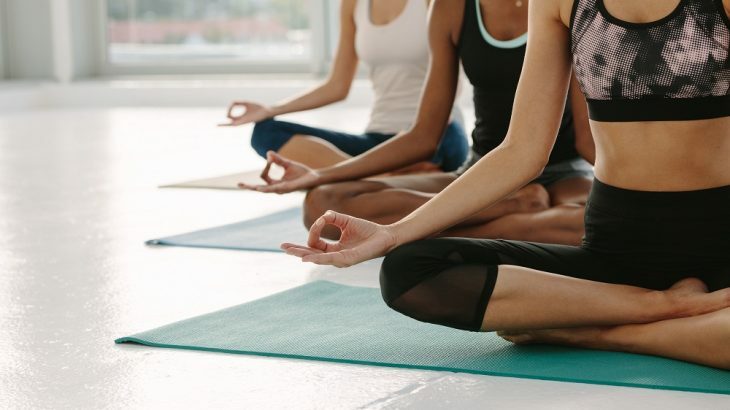 The experts at Mountainside Fitness know that living a balanced and healthy lifestyle is one of the best ways to minimize anxiety, below are tips from the pros on ways you can keep your anxiety in check. One common plague in today’s busy world is trying to squeeze in as much as possible and your sleep gets sacrificed. Not getting enough sleep on a regular basis affects both your physical and mental health and being chronically sleep-deprived can worsen anxiety and make it more difficult to manage it. Setting a regular bedtime and wake-up time, practicing good sleep hygiene, and making sleep a priority are all important parts of managing anxiety. Another important thing you can do to ensure that you get enough sleep is to be physically active throughout the day. Whether you prefer to work out with a trainer, try a fitness class, play basketball, or engage in another activity you love, moving your body during the day will help you get better night sleep. For people who struggle with anxiety, there are many different habits you can explore and adopt. For example, meditation, yoga, a healthy diet, breathing exercises, and practicing mindfulness can help calm you down. In addition to help refocus your attention and reduce the stress you may be feeling. Setting up a regular time for these activities helps to ensure that they don’t get swept away in your busy schedule, whether you commit to meditating each morning when you wake or hitting up your favorite yoga class after work. Mental health experts recommend regular physical activity as a way to keep mental health in check. This looks different for everyone, but a combination of cardio and strength-based activities are recommended for optimal health. Exercise boosts your mood, helps to regulate hormones, reduces tension, increases energy levels, and generally improves your outlook on life. Your time spent at the fitness center is a direct investment in your mental health. Not only do group fitness classes help you reach your physical activity goals during the day and help bring about the physical health benefits that help mitigate anxiety, they can be a great opportunity to socialize, set and reach goals, hold yourself accountable. To take control of your life, help reduce anxiety, and make physical fitness fun again, check out the available fitness exercise classes in Phoenix, AZ, offered by Mountainside Fitness at one of the 17 locations across the valley.